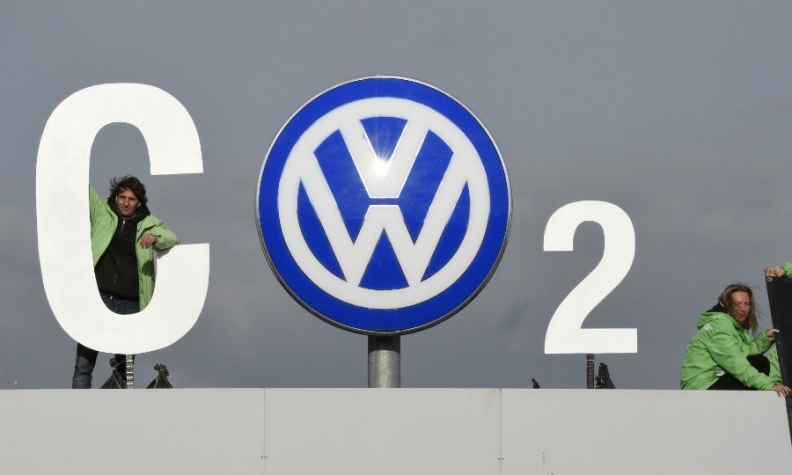 BERLIN -- Germany's motor authority raised suspicions that Volkswagen was using prototype vehicles to lower CO2 emissions in tests in 2015, soon after VW's manipulation of diesel emissions tests was uncovered, the Berliner Zeitung newspaper reported on Saturday. It quoted the Federal Motor Transport Authority (KBA) as telling VW in a November 2015 email it would choose test models randomly and appoint new external experts to carry out testing because of doubts about the independence of the company's CO2 testing regime. "VW has to give a declaration that they [vehicles submitted to tests] comply with standards for serial production models and were not subject to change in any way," the newspaper quoted the KBA's email as saying. There was no immediate comment from a VW spokesman. The German Transport Ministry, which is home to the KBA, declined to comment because its investigation into CO2 emission tests is not concluded yet, a spokesman said. It was not clear in Saturday's report whether the KBA remains concerned about the transparency of VW's CO2 emissions tests. VW admitted in November 2015 that besides rigging diesel emissions tests it had also understated the fuel consumption and CO2 emissions of about 800,000 vehicles. It then announced a month later that follow-up tests had shown the CO2 irregularities affected less than 40,000 cars.